Four refreshing ways to freshen up your fourth! We’re mad for melons! 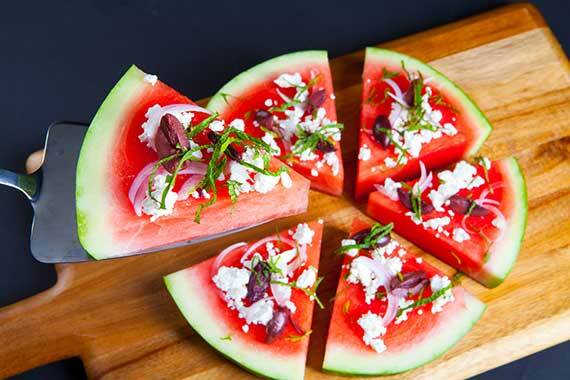 Get your pizza fix in a truly healthy way and save big on our delicious black seedless watermelon from our friends at Vierra Farms in West Sacramento this week! 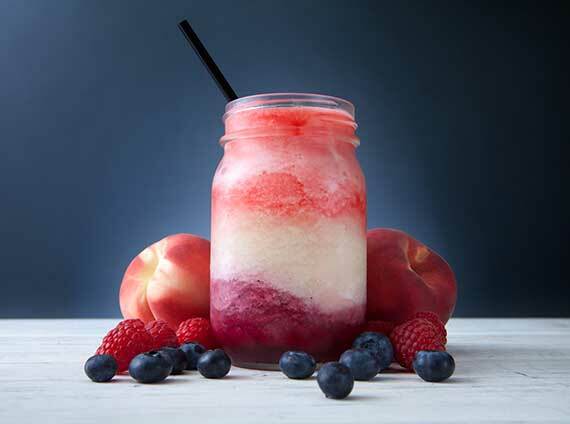 Blend up this festive beauty in celebration of our independence. Our recipe makes it easy to prepare a non-alcoholic version for the kiddos! You’re a Grand ’ol Cake! 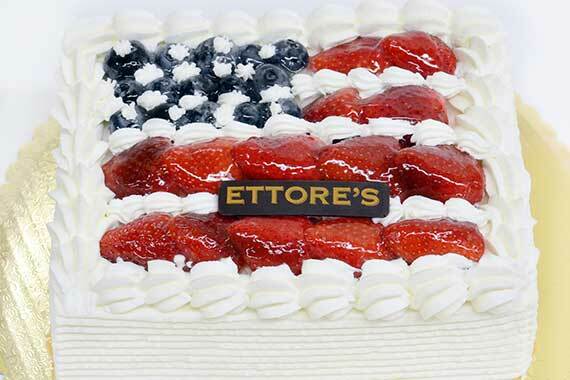 Ettore’s European Bakery gets into the Independence Day spirit with their luscious Fourth of July Cake, available in our stores on July 3 and July 4 only. Made locally at Ettore’s in Sacramento and delivered fresh to our stores, this vanilla sponge cake is layered with pastry cream, crushed pineapple and fresh strawberries. It’s then iced with whipped cream and topped with fresh fruit in a flag pattern decoration and finished with a toasted almond border. This cake is a wonderful addition to any Fourth of July celebration or barbecue! 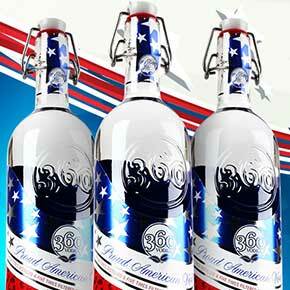 American made and billed as the planet’s first eco-friendly bottle, 360 Vodka flies Old Glory with its unique bottle that includes a recyclable swing top enclosure. But it’s not just the patriotic packaging that’ll get your attention; this vodka’s smooth on the palate, easy to drink, and mixes great with anything. Mezzetta sources the finest fresh produce from the sun-drenched soils of California, Italy, Spain, France, and Greece and prepares them according to their traditional Italian family recipes at their state-of-the-art production facility in the Napa Valley. This Friday, Saturday and Sunday, 8 oz. to 32 oz. 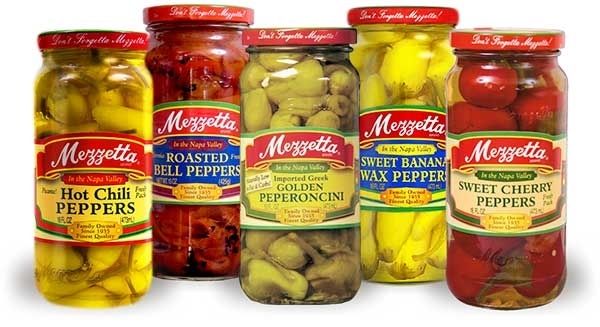 jars of Mezzetta Peppers are 40% off! Beat the heat and join us (indoors!) at a Nugget Markets wine tasting. The following stores are hosting events from 5 p.m. - 7 p.m. Flights cost just $5 and attendees must be at least 21 years of age. A celebration of Yolo County farmers and agriculture, the Bastille Day Feast takes place at the historic Wolfskill Ranch, with a seasonal menu of fresh fruits, produce, nuts, meats, beer and wines donated by Yolo farmers, brewers and wineries. We’re proud to sponsor this special event, in support of the Winters Farm to School programs. Prices valid June 26 to July 1, 2014.